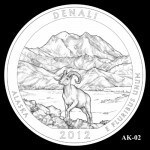 Although the America the Beautiful Quarters Program just completed its first year of release, design candidates have already been prepared and reviewed for the third year of the series. 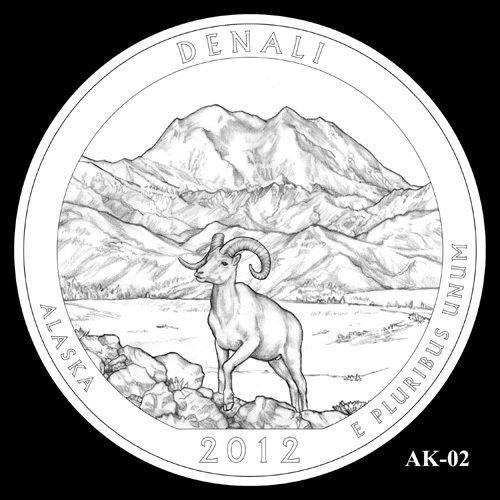 The 2012 America the Beautiful Quarters will feature El Yunque National Forest in Puerto Rico, Chaco Culture National Historic Park in New Mexico, Acadia National Park in Maine, Hawaii Volcanoes National Park in Hawaii, and Denali National Park in Alaska. 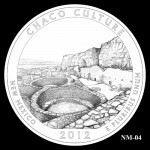 At a meeting held on October 21, 2010, the Commission of Fine Arts (CFA) reviewed the design candidates prepared by the United States Mint for each of the five upcoming quarters and made their recommendations. As previously covered on Coin Update News, the design candidates were also reviewed during a meeting of the Citizens Coinage Advisory Committee (CCAC). 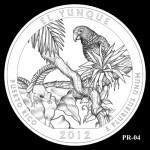 The Secretary of the Treasury will have the final authority to select reverse designs for each of the 2012 quarters. He make his decision while considering the comments and recommendations of the CFA, CCAC, the Secretary of the Interior, the chief executive of the host jurisdiction, the federal entity responsible for the site, and the Director of the United States Mint. As they have done in the past, the Commission of Fine Arts expressed their belief that designs should highlight a unique feature for each site, as opposed to broad sweeping landscapes that might be difficult for the public to differentiate from one another. Accordingly, their five recommended designs tend to feature unique, distinctive, or emblematic elements of each location. The Commission recommended alternative #4, noting that the tropical animals and foliage are distinctive features of the park and are likely to be unique in this coin series. The Commission members commented on the awkward position of the plant behind the frog and recommended revision of this portion of the composition. The Commission recommended alternative #4, commenting that this design best conveys the vastness of the setting as well as the Native American construction that has given it cultural significance. 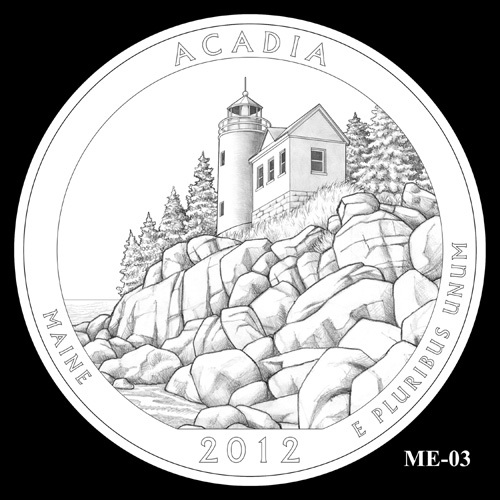 The Commission recommended alternative #3 as a strong design depicting the distinctive rocky cliffs of Maine, and suggested that the framing be shifted leftward to move the lighthouse tower off-center and provide more space for the ocean. 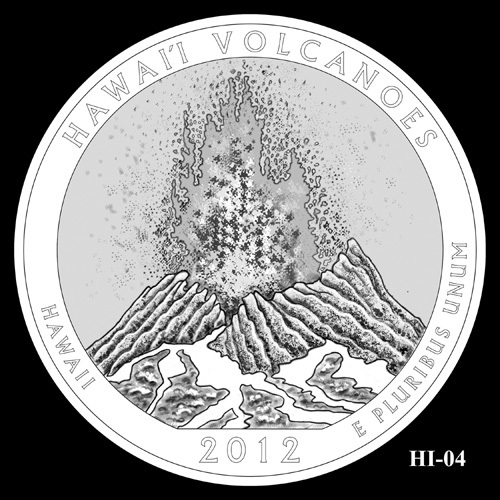 The Commission recommended alternative #4, commenting that the strong single image of the volcano would be the most compelling for this small coin. The Commission members emphasized the stylized treatment of the volcano as a fundamental strength of this alternative, reiterating their longstanding recommendation for such treatment in numismatic design. The Commission recommended alternative #2, due to the strong foreground image of the Dall sheep that is distinctive of this park. The Commission members noted that many coins in this series will likely feature mountains that may appear similar when rendered on a coin, and recommended rendering the mountain in low relief. Great reporting; I haven’t seen this anywhere else on the web. I appreciate your work. I wonder if Dennis Carr, submitted anything ?